A few weeks back I had the pleasure of heading over to Lara's family home, (where her wedding is happening tomorrow, eek!) to meet up with her and Chris for their pre-wedding shoot! We had so much fun photographing them, which included recreating 'American Gothic', getting the chickens and the dogs in on the action, and a few other completely off the cuff ideas from Chris, which made for some of the most beautiful moments I have ever captured, filled with so much laughter and fun. 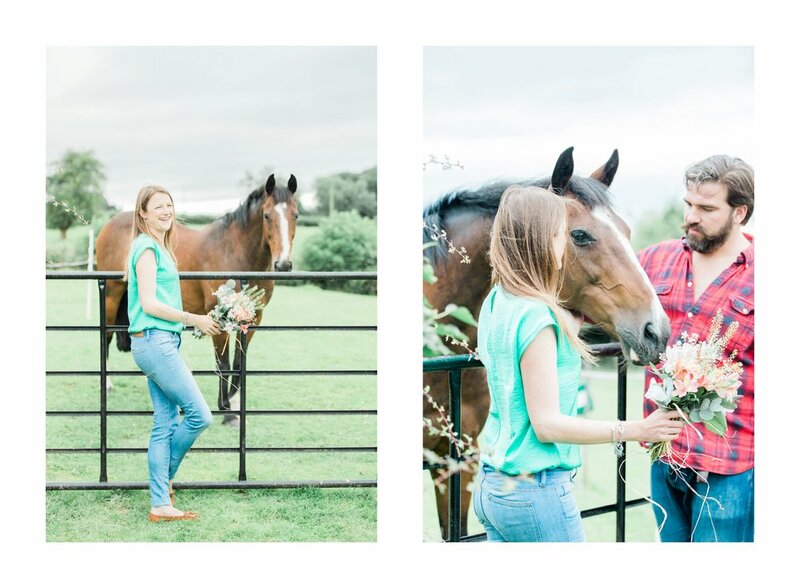 We were then welcomed into their home by their incredible family for Pims and a chat, it is always amazing to meet and connect with likeminded people and we are honestly thrilled to be a part of their story, we just can't wait to capture their beautiful wedding day!